I would appreciate any help/advice from anyone who has been in a similar situation and experience with selling such a new car private, to dealer etc! 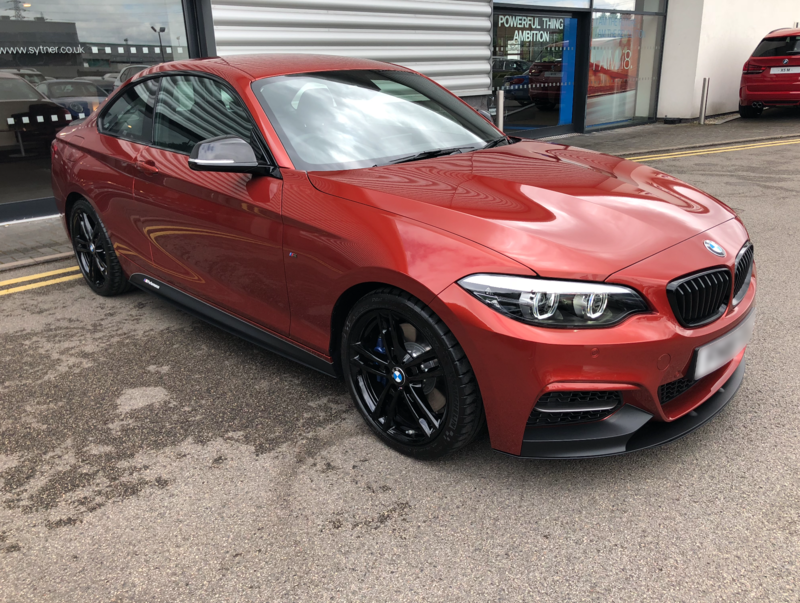 June 2018 registered M240i Coupe, approx 4000 miles in as new condition. I’m in exactly the same position as you. Decided over the last few days that I want to change due to it not being practical enough for me. Bought in November and it was registered in July 2018. I see myself having to keep it for a while though as I’ll lose so much money that it doesn’t bare thinking about ! Called my local dealer today to see if they could give me a rough price on it in exchange for an m40 x3 but they want to test drive it in case somethings wrong with it , it’s done 3k miles and is like new ! Think they just want to get me in the showroom before giving me the bad news that they won’t give me buggar all in part ex ! There is no 'best option to get the maximum' for a car so new. 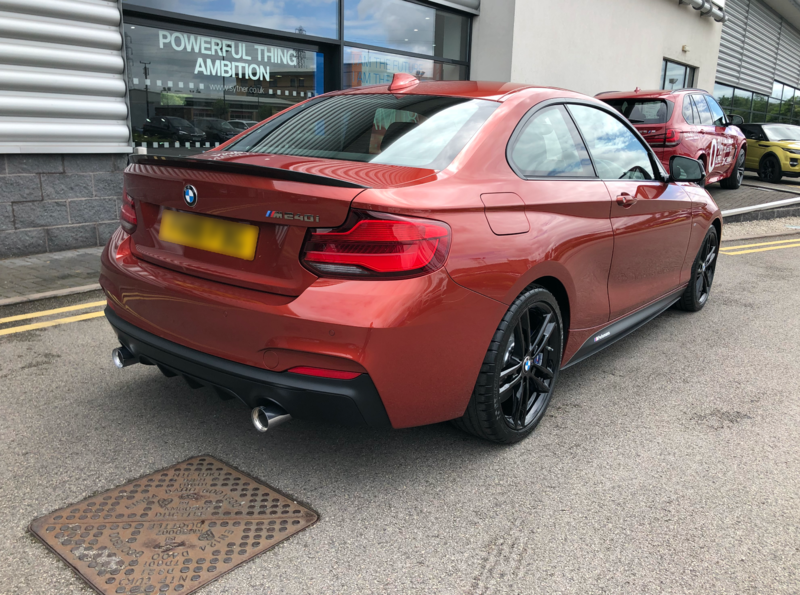 A dealer will offer way below what you paid and a private sale will be difficult to achieve and you would still need to put it up for sale way below £35k you paid. Evans Halshaw, WBAC will give you a ballpark figure as to what to expect from a dealer trade. 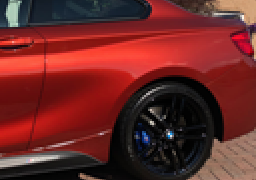 What are similar cars up for sale private on Auto trader, Pistonheads etc because between the trade value and private sales is where you would need to pitch your car to sell private. Don't expect anymore in real terms from BMW than Evans Halshaw as the magic salesman abacus will come out and make things look rosy!!! And before someone says WBAC etc have ruined the part x market, I agree to a point but it is what it is and we are where we are and its only worth what someone will pay for it. The situation as it stands wont change. You need to just bite the bullet and take the hit or keep hold of it, your pants will be coming down I am afraid either way. In both cases above, are they forced sales? i.e. you have to sell the car due to financial or family issues, or are you both just looking to change? If just looking to change I think I would be hanging on to them a bit longer. Rossco - what are you practicality issues? I can recommend Tootle. I used it last October to sell a Mini. Had a couple of traders bidding against each other. ended up with £1000 more than I was asking. I bought a new Fiesta ST 2 years ago and sold it back to Ford after 7 months, obviously a big difference in value but shop around you might be surprised. Looks lovely though I must say. OneTwenty wrote: In both cases above, are they forced sales? i.e. you have to sell the car due to financial or family issues, or are you both just looking to change? It’s not a forced sale for me. I don’t dislike the car , I walked into the showroom and fell in love with it and had to have it and didn’t really stop to think about the practicality. I have a biggish dog who is fine in the front but it means anyone else coming out with us has to squeeze in the back. My job is buying and selling used items so the space in it isn’t great for that and I’ve also taken up golf since getting it and sticking a golf bag in the boot always means putting down the seats. 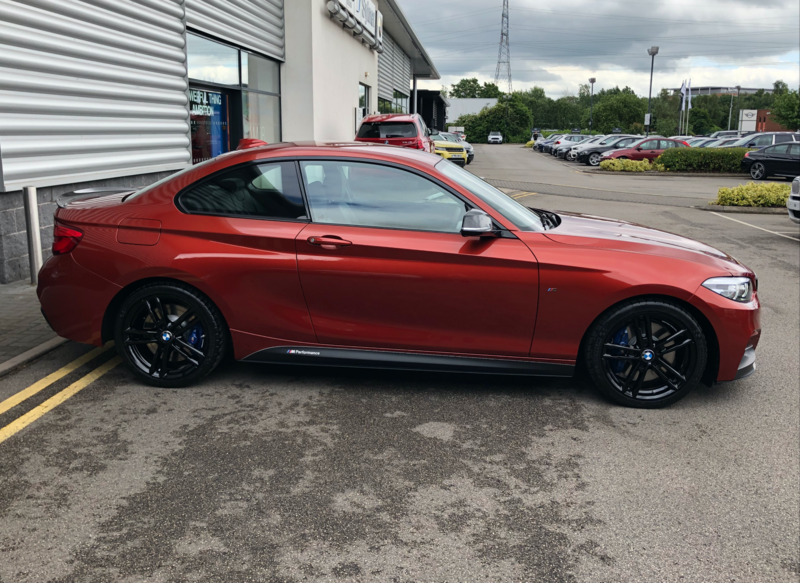 If anyone is in the market for a mint m240i performance edition and want to save a few grand from the dealers ( cheapest in the country is currently £35k ) give me a shout !! Buy a cheap estate " hack" car for the dog and lugging things about, used market is full of older a4,volvo, merc c class etc. For the hit on the fabulous car value it makes sense. I agree with Goon. You are potentially going to lose a heck of a lot more than buying and running a van or an estate for the dog/moving duties if you sell the 240. You need to find something like my E91, we've had it from 1,500 miles/almost new and it's done 88k miles with FBMWSH and is spot on for lugging/MTB duties and it's only worth £4k apparently. You could buy similar and keep the 240 and still be better off IMO. And from my experience of 2.5 years in my 240 they get better and better - I love mine to bits and enjoy it more every day. I get the practicality thing though, I use mine with wife and 2 kids, plus I'm into my bikes and MTB so it can be a pain sometimes but then I have the E91 plus I'm buying a T5 van soon as a camper base.